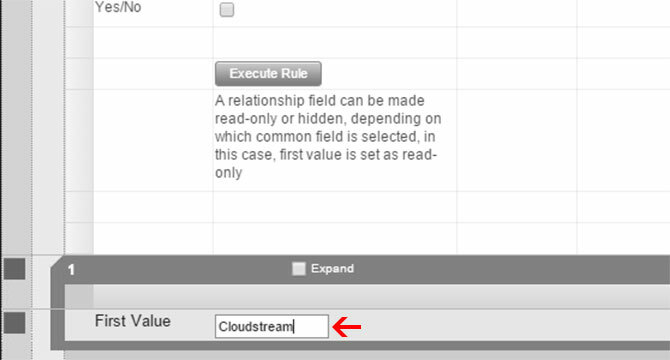 Makes relationship field(s) read-only or hidden. Step 1. 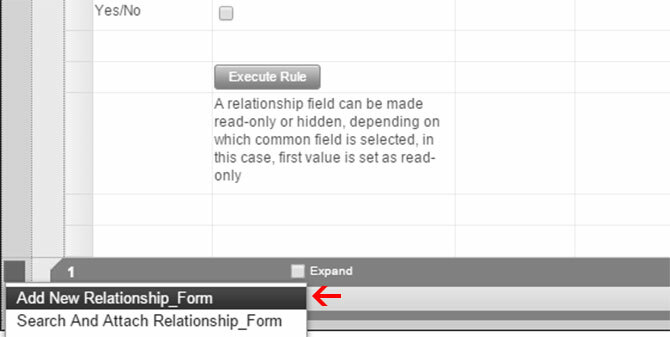 In the Live demo scroll down and click on the black box(buttom left of the form) and then click “Add New relationship form” as mentioned in the screenshot below. Step 2. Enter some text in the Field named “First Value”. Step 3. 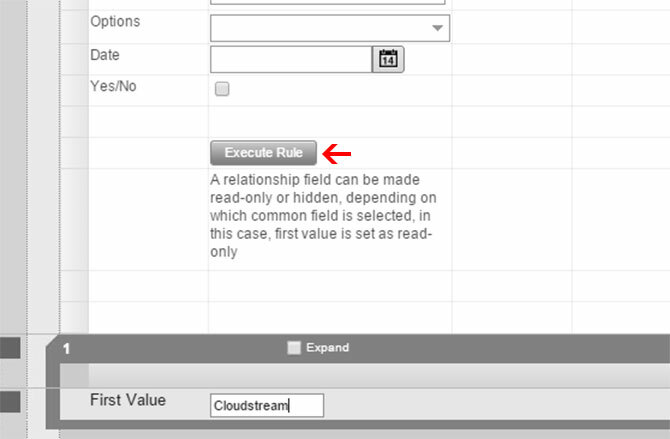 Click “Execute Rule” button. The relationship field will be read only.